That quote is decades old but still holds true today. Though it's all the rage today on TV, this article isn't about real estate wholesaling or flipping houses. True, there is money to be made in those activities, sometimes a lot of money, but it's short-term profit. If you reinvest it in a long-term rental real estate, then flipping can be a great tool. This article is about building and growing a real estate portfolio over time that will fund a wealthy retirement lifestyle through cash flow. With multiple rental properties each generating positive cash flow, you can fund your retirement in style and not worry about many of the economic factors that threaten the majority of investors in stocks and bonds. It's never too late to start either. If you're young, you can build a down payment to buy your first rental property and begin growing your real estate portfolio over the years until you retire. If you're in the five to 10 year period before retirement, you can convert assets in lower yielding investments into rental real estate and increase your retirement monthly income. If you're already at or past retirement age, you can do the same thing. Location: Yes, you can say it three times, as real estate is all about location. You wouldn't want to rent a home in the middle of a supermarket parking lot, but one near a green belt or park for your children could be just right. Rentability: Location is a part of this factor. However, if a home is in a great location, but the competition is stiff, it may not be the best investment. When there are many rentals available and owners are offering incentives, it may not be the right time. When there are few rentals available, not only are you able to keep a property occupied better, you can demand higher rents at the same time. Expenses: This is relative, as property taxes are a major expense, but some areas command high rents because of the area amenities, so taxes are higher as well. If you can offset expenses with monthly cash flow left over, then it's a positive. Appreciation: Though cash flow is the primary consideration, appreciation in value over time is important. There are two ways in which you build equity in a rental property, appreciation in value and paying down the mortgage. Intelligent leveraging of your investments can be used to grow your portfolio using the equity in owned properties. These are your main considerations, of course, you'll be looking at the age of the property, expected repairs over time and any necessary improvements as well. You're ready to get started and buy your first rental property. You have the down payment for your desired price range, and you want to make an informed purchase decision. Know your market area: Take the time to do a thorough analysis of your market area. You may have a specific neighborhood or area in mind, but you want to broaden your research to have the knowledge you need for comparisons of possible properties. Learn what properties are selling well in your price range. Do some research at the courthouse for areas where homes are selling for cash. Investors are the normal cash buyers, so you'll know the areas other investors, some very experienced, are buying into. Learn how to value properties: Learn how real estate agents do a CMA, Comparative Market Analysis. The first thing most successful investors will tell you is to buy below market value. This locks in a profit at the closing table. It also makes it easier to generate an acceptable profitable cash flow when mortgage payments are lower. Analyze rentals and competition: Dig into the local media where rentals are advertised, both print and online in Craigslist. When you're researching a neighborhood, get the average rental amounts for the type of properties you're considering buying. How many are available, are owners offering incentives like free months? Know what you can expect for rent. Nail down expenses: The expenses here are the normal ones like normal repairs (budgeted), real estate taxes, insurance, etc that will apply to every property in an area. A mistake here is just as bad as getting locked into a below-market rent for a year; throwing away profit. The condition of actual properties you are considering is a separate thing, though you will want to budget for obvious repairs you know will be coming for an older property. Locate the bargains and negotiate a deal: The next section will talk about finding the best rental property deals, but it is a part of this process that is crucial to long-term profit. If you're paying retail, for the life of the ownership period, you're losing profits. Those are the pieces of the location process, but here are some specific sources for the best deals. We all know about foreclosures and the great deals that can sometimes be found. However, the heyday of massive foreclosures with owners in place is over for the recent crash. Many of the foreclosures you'll find today will be in poor condition, some vacant for a year or more. This doesn't mean you shouldn't be constantly following foreclosures through sites like ​RealtyTrac.com. They're still happening and you can grab a good one in rentable condition now and then. Owners in distress: Constantly monitor media and online sources for owners who are in distress. These are people who for financial reasons must sell their homes in a hurry and in a situation that can result in you buying below current market value. Perhaps they have medical expenses, have been laid off at work, or they need to move for employment in a hurry. Do keyword searches on Craigslist for listings by owners with phrases like "must sell", "taking all offers," etc. Pre-foreclosures: Pre-foreclosures present an opportunity for investors to locate properties before foreclosure that they can buy at a discount to full market value. Realtytrac.com and other sites have sections just for these listings. Work with good wholesalers and fix-flip investors: Real estate wholesalers that are good at what they do can be a great source for rental homes. If they understand their role in selling to rental property investors, they know that you want to buy below current market value and that the properties should be ready to rent. Fix and flip investors also sell mostly to rental property buyers, so they know what you want and definitely provide a ready-to-rent property. Once you find your niche and hone your skills, just keep doing the same thing over and over, adding to your rental portfolio. As you pay down mortgages, you may want to leverage with equity, but do so very carefully and do not overextend. Many investors went under in the 2007 crash because they were over-leveraged and couldn't maintain rents to keep paying mortgage payments. 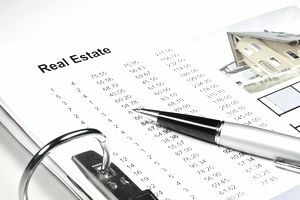 Look into the 1031 Tax Deferred Exchange to sell profitable properties to fund larger or more properties to grow your real estate portfolio. Does Rent Stabilization Help or Hurt Tenants?